On any kind of Apps sharing on Facebook could be a frequent task. 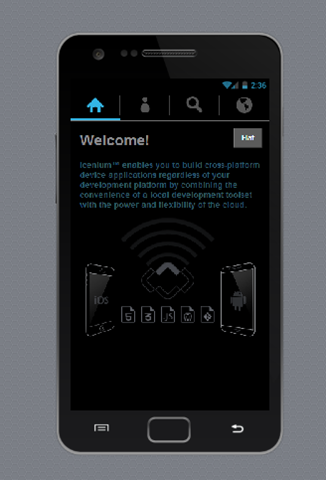 Icenium a Cloud Based IDE allows you to create Cross Platform Apps. In this blog post we will take a look on sharing status on FaceBook from a Cross Platform App being created using Icenium. To start with let us create view. I am putting an input text box and a button. On click of button text from input box will be shared on FB wall of user. We are using a function to get parameter by name. Below function is doing this task. In client id make sure to pass client if for your app. You will get client id while registering your app to Facebook. Below we are reading textbox value, fetching access token and calling a function to make a FB post. Last function we need to create to make a FB post. That function is as given below. We are setting message, link, name and access token as property of data to be posted. This is all what you need to do to post a Facebook status message from a Cross Platform Mobile Application being created using Icenium. Now let us consider example that you need to perform a task before Kendo UI Mobile view is getting visible. 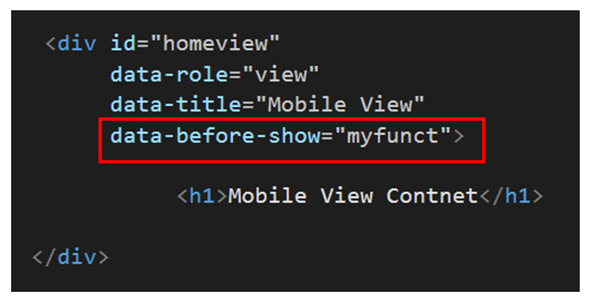 You can do that by setting data-before-show attribute of Mobile View. 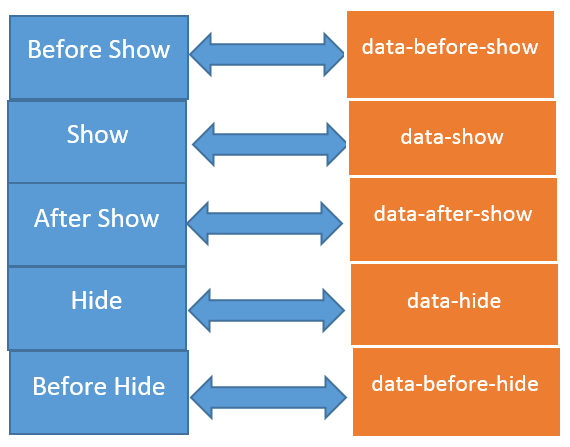 In below image we are setting data-before-show property to a function with name myfunct. I hope you find this post useful. Thanks for reading. When I talk to customers who are coming from manual testing background or working with other automated testing tools they complain about automation of mouse actions like hover etc. They say it is tough in their existing tools to automate Mouse Actions. They require them to write some amount of scripts to achieve automation of mouse actions. In Test Studio automating mouse actions are super simple. In this post we will take a look on how to do that. When you move mouse on page elements would be getting selected. There would be a red rectangle around selected element. Keep mouse for some time and you will get a blue bubble. Next you need to click on blue bubble. You will get various options. 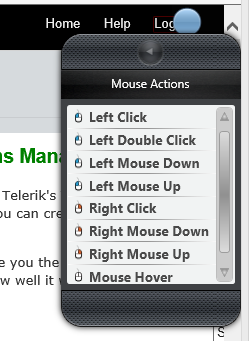 In options select Mouse Actions options. 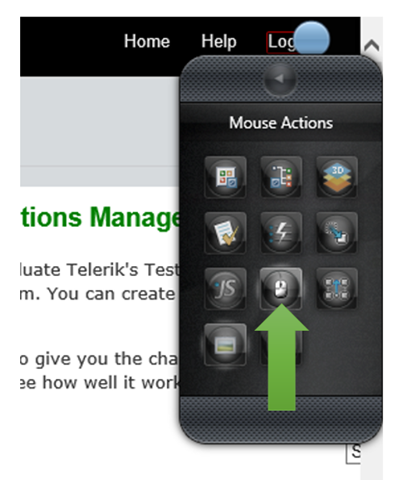 On selecting Mouse Actions option , you will get available mouse actions to automate. For example if you want to add Mouse Hover action in your test just double click on Mouse Hover and a step will get added in the test. 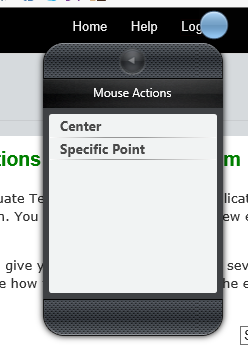 Next Test Studio will ask you further options like Centre and Specific Point. We just witnessed how easy it is to automate various desktop mouse actions command using Test Studio. We did not have to write any script and automation can be done while recording test. I hope you find this post useful. Thanks for reading. 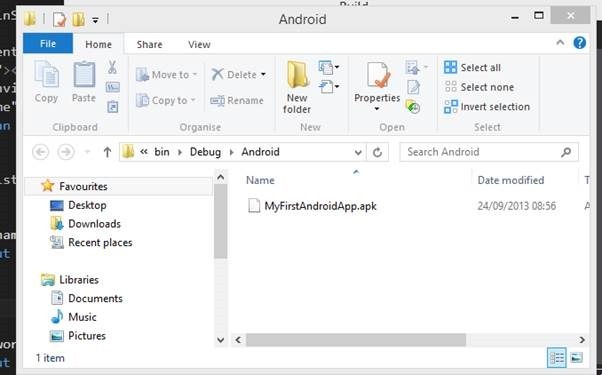 In this post we will take a step by step look on creating Android app using Visual Studio. 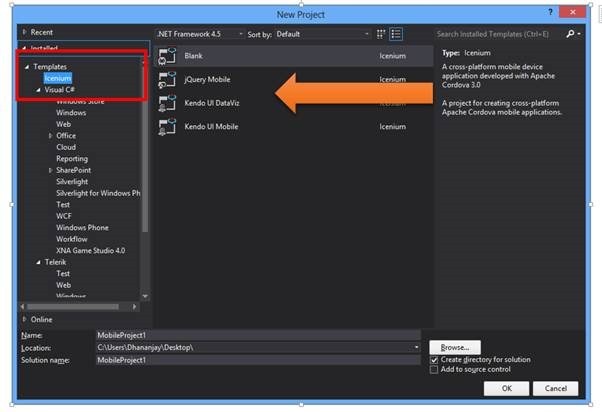 To create Android or iPhone app you need Icenium Extension for Visual Studio. 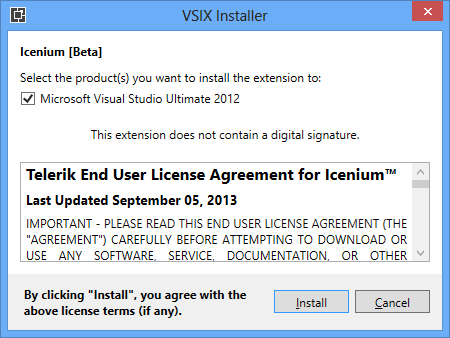 Very first you need to install Icenium Extension for Visual Studio from here . After successful download close all running instances of Visual Studio and install Icenium Extension for Visual Studio. After successful installation launch Visual Studio and you will get Icenium tab. There you can choose any project template as per your requirement. After successful download and installation go ahead and create project for Cross Platform Mobile Application. You have four options to create application depending on library you want to use. For example if you want to use your own library then go ahead and select Blank Project Template and start adding your own library to create apps. 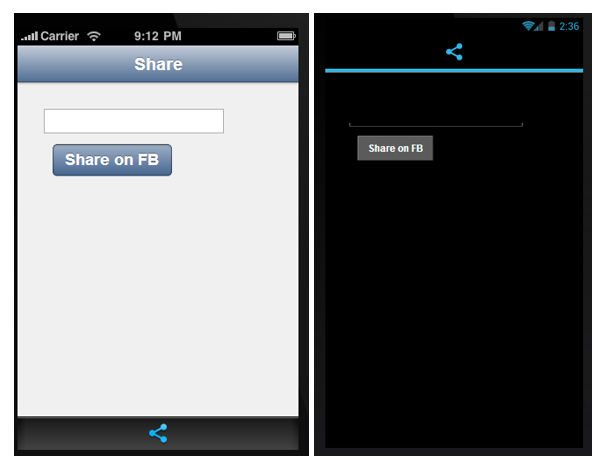 To create app using jQuery Mobile select jQuery Mobile project template. To create app using Kendo UI Mobile select Kendo UI Mobile project template. In this scenario I am going to create app using Kendo UI Mobile. In this post I am not going into much details of programming aspect so let us consider that we want to publish default created app to Google Play. We are going to build default reference app got created. In menu you will find an option Icenium. We will talk in detail about simulator in later posts. Next we need to build app for Android. You can do that by selecting Build App in Cloud option from Icenium menu in visual studio. Here select Android Build option. 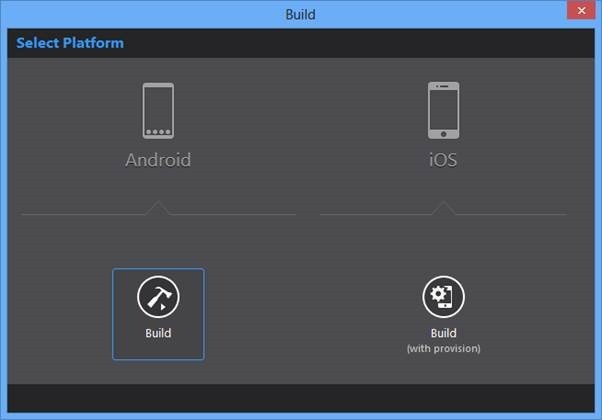 After successful build you will get two options to run Android app on device. 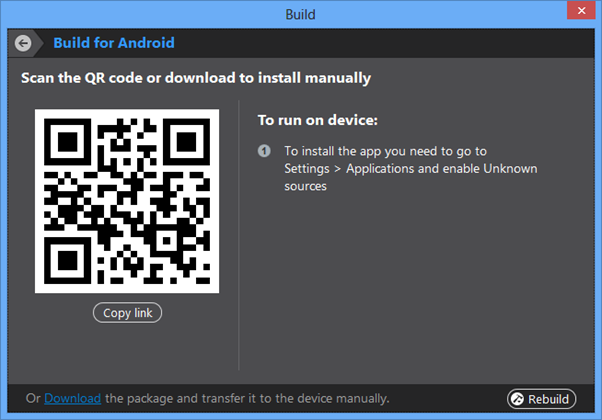 Option one is to scan the QR code and option two is that you will find apk package in project’s bin->debug->android folder. You need to upload apk package in Google Play to publish your android app to Google Play. 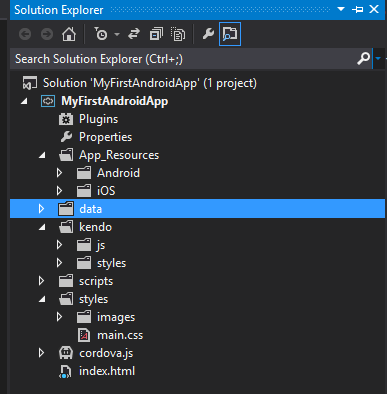 We just learnt it is super easy to create Android app in Visual Studio using Icenium extension. In this post we will take a look on working with camera in Icenium. You can access camera in Icenium using Cordova or PhoneGap. Let us say we want to capture a photo on touch of a button. I have designed view as below. On touch of button camera will be launched and then taken photo will get bind to image control. On touch of Capture Photo button we are calling function capturePhoto(). In above function we are using cordova function navigator.camera.getPicture() to launch camera and click photo. You can pass many optional parameters to this function like quality, destinationType, sourceType, targetWidth , targetHeight etc. On successful selection of photo onPhotoDataSucess function will be called. In this function you can access photo and use that as per your required. In this scenario we are binding that too an image control. As you see that we are reading image with data url and setting that as source of image. If there is error selecting photo then onFail() function will be called. We can simply display an error message in this function. In this way you can work with camera in Icenium. I hope you find this post useful. Thanks for reading. Telerik RadPanorama is a control that displays elements of type RadTileElement in a mosaic manner. Basically, this control allows you to represent a small amount of data in the form of tiles that the end-user is able to smoothly scroll left or right with a gesture, just like in Windows 8, and to reorder the tiles with drag and drop. With its help, in just a few minutes you can achieve Modern Style UI for your WinForms applications, similar to the Start Menu screen of Windows 8. Q: Does this control work with windows form & even WPF i.e. xaml? A: This webinar talks about our Panorama control for WinForms. We have a separate suite for WPF and it contains a similar control on XAML. Q: Is there any limit for tiles in panorama? Q: Will this work with Visual Studio2010? A: Yes. It is supported on VS2010 environment also. Q: Can we place tiles of one group to another group? A: Yes. Control will automatically do that out of the box without any special coding. Q: Can we do resizing of Tile? A: At the moment we don’t have the capability to resize the tile similar to what Windows 8 OS provides. However during design time you can set the size of the tiles. Q: Is it necessary to have .png format or any photo format like.jpeg or .gif will work? A: Any image format will work. But PNG is preferred. Q: Can we rotate the tiles ? A: No. Moreover if you rotate you are violating the Modern UI design philosophy. Q: If we have more tiles in a window will the scroll bar appears? A: Yes. Panorama will automatically provide the horizontal scroll bar. Q: The Tiles added can be independent of RadPanorama or it should be contained in it? 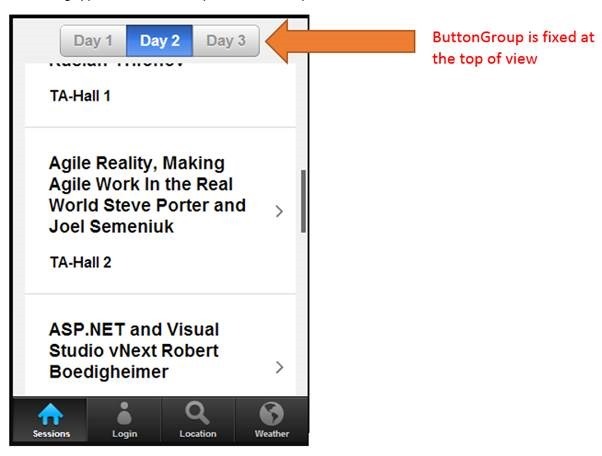 A: Tiles can be added directly to Panorama or can be added to the groups. Congratulations to the winners. We will get in touch with you to get your details and we will ship your T-Shirt. Rest of you folks, don’t worry – attend our future webinars to win a T-Shirt. We look forward to your presence in our future webinars. Till next time – Happy Coding! This blog post is in response to one of the customer queries we received a couple of days back. One of our India customer called us up and said that they are seeing slowness in couple of pages where they are using RadGrid. Problem statement was – when they click on “Add New Row” button it takes nearly 1.5 minutes for the row to appear on the grid. This made it even scary for them as they had moved the code to production. Through this blog post I will try to outline what I found out and what could have been done better to resolve the problem. The new item template had lot of drop down lists and each of them were bound to SqlDataSource control as their data source. Now, next thing I did was to take look at the timing. We used IE Developer Tools and captured the network traffic when Add New button was clicked. What I found out was, server was taking close to 10 seconds to finish its server side processing. That’s a lot of time if you ask me. What was surprising for them was, they had paging enabled on the grid. So they were thinking that paging is happening correctly but still why is the add new row scenario slow. So this made me to delve little bit deeper into what exactly is happening in this scenario. So rest of this blog post is all about my observation. Read on if you have faced a similar problem. Did two experiments to figure out what was happening. First I use a RadGrid and bind it to SqlDataSource control and look at the query executed at the DB side. Second was to use entity data source instead of SQL data source and look at the query executed at the DB. For my experiments I am using Northwind Database and in particular Order Details table. Order Details table contains nearly 2155 records. So this makes a good candidate to mimic a scenario where you are paging the RadGrid lets say 10 records per page. I assume that you have RadControls for ASP.NET AJAX suite installed on your system. 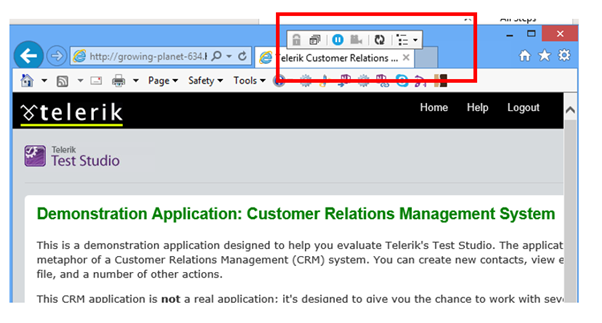 If not, you can always download from our products page – www.telerik.com/products/aspnet-ajax.aspx. You will need that if you want to follow along with this post. Also in order to trace the SQL Queries executed, I am making use of a open source tool called “Express Profiler” which is available at CodePlex here: http://expressprofiler.codeplex.com/. I had to use this as I have a SQL Server 2012 express edition and express edition does not come with Profiler option. You need a full blown SQL server to get the profiler. I have created a RadControls Web Application for my experiments. 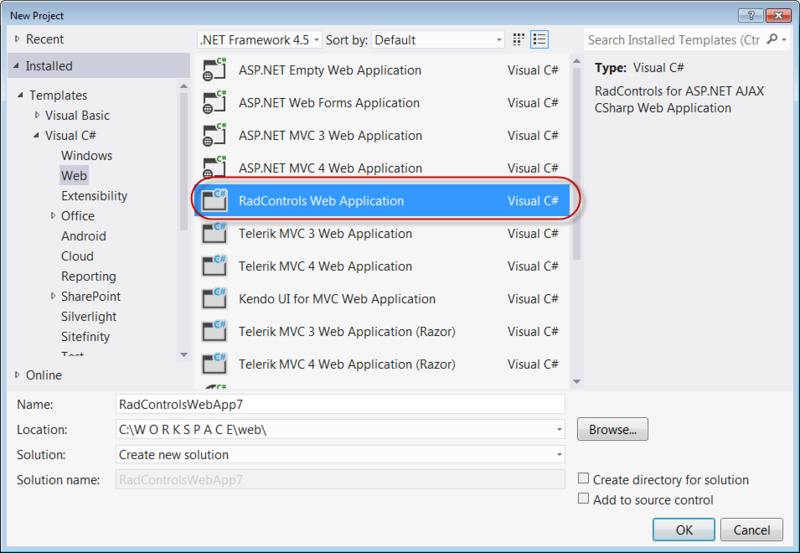 When you install the RadControls for ASP.NET AJAX suite, you will get project templates in Visual Studio, using which you can create a web application. What you see here is a call to retrieve all the records from the table. You may be asking but the page size is set to 10. That is correct but what really happens is this: RadGrid will go ahead and ask SQL Data Source to get the data. 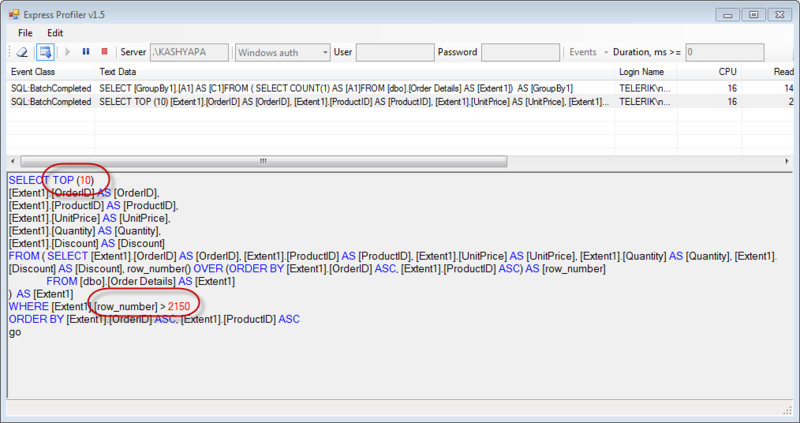 SQL Data Source will blindly execute the query that has been set for the select command. RadGrid will not be able to do any tinkering with query because the SQL Data Source does not provide us a chance to put paging related statements. What you notice is, the SQL Data Source goes ahead and brings all the records from the table. RadGrid will then pick up only the second page rows and displays it. As you can see it again retrieves all the records from the table. What this tells us is the time taken is due to the fact that its going and getting all the table records no matter whatever is the situation we have. Now hitting DB and getting everything does call for some time although small but it till takes up time on the server. Now lets do the same experiment but with Entity Data Source. Here NORTHWINDEntities is my Entity Data Model context. I am just casting it to ObjectContext since Entity Data Source works with ObjectContext. I set this entity data source as the data source of the RadGrid. 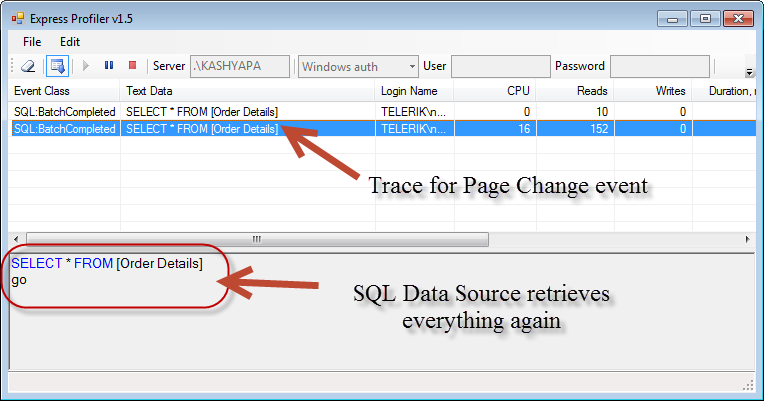 Now lets run the app and trace SQL queries for the same set of actions we did with SQL Data Source control. As you can see we have put in a “SELECT TOP 10” statement in the query. So its not bringing all 2155 records rather only 10 records. So time spent to do this will be very negligible. 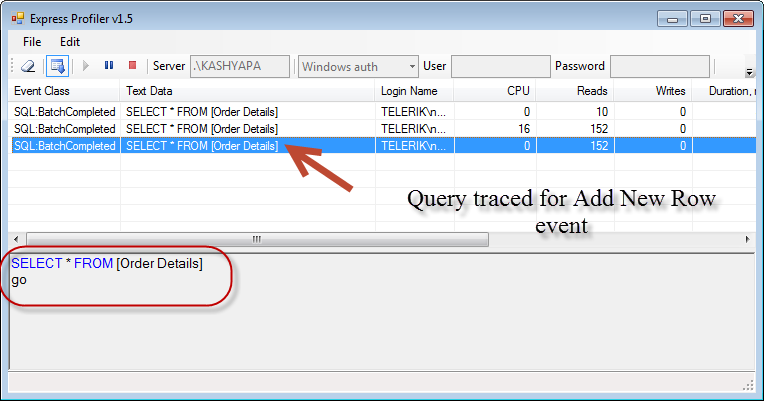 We also execute one additional query to get the total record count. Notice that, in this scenario, we automatically page to the last row and add a blank record. As you can see from the above experiments, RadGrid is intelligent enough to optimize the queries based on the scenario you are dealing with. It was very evident from the experiments that if you are using SQL Data Source as your data source choice, there is not much RadGrid can do to optimize the query before it gets executed. 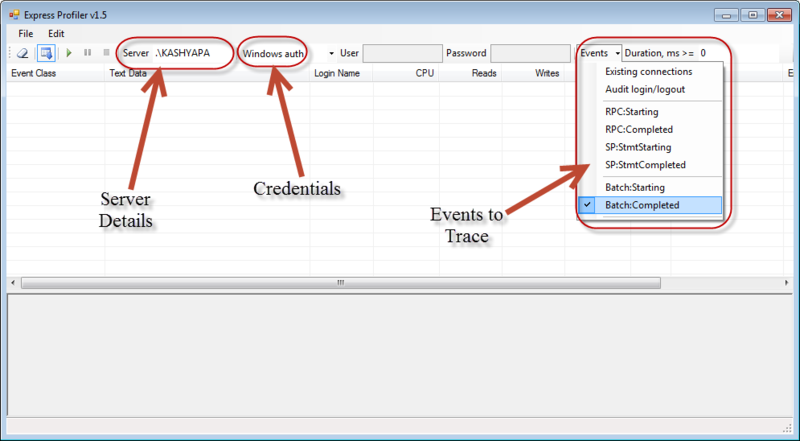 Where as with Entity Data Source, RadGrid is smart enough to optimize the query and always have a optimized data fetch. I personally recommend using an ORM in the project for the data access scenarios and use the Entity Data Source as your data source choice. We i.e at Telerik have a free ORM called OpenAccess. Its free for life so you can pretty much use this in your production without any hassle at all. Do give it a try and let us know how you feel about it. I hope this blog post does give you information on things you need to take care while doing data binding to Grids. This is just not in particular to RadGrid, this is mostly about any data binding scenario. Trace your queries and be sure that write and optimized queries are getting executed in your apps. Till next time, Happy Coding. Icenium Everlive is Backend as a Service offering from Telerik. In this post we will take a look on how easily KendoUI DataSource can be used to fetch data from Icenium Everlive. To start with, in Everlive I have created a content type with name Session. In Everlive Content type represents a data type or loosely I can say it represents a table. I have created content type with name Sessions. Now we need to insert and item in Sessions content type using Kendo UI DataSource. After adding reference create instance of Everlive as below. You need to pass Everlive application key as parameter while creating instance of Everlive. You will find application key on Everlive portal. Now you will be amazed seeing how easily you can insert item in Session content type using Kendo UI DataSource. Before creating an item or inserting an item, create Kendo UI DataSource as following. 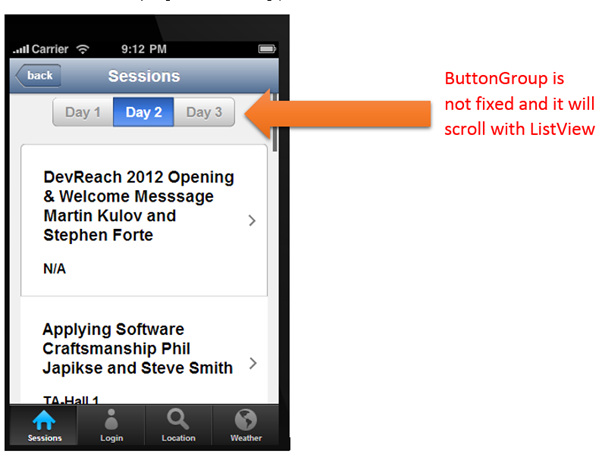 Putting above discussion all together, below function will add an item in Sessions content type. This is the way you can add an item in Everlive content type. I hope you find this post useful. Thanks for reading. While developing apps you should have Build Settings set to debug whereas before publishing it to store, you should set it to Release. In this post I will walk you through how to change Build Settings. 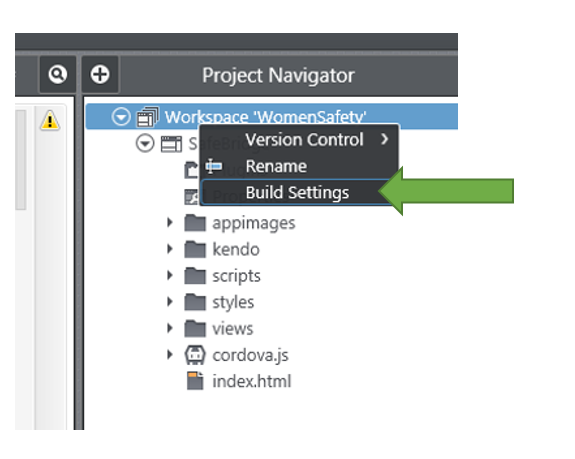 To change Build Settings, right click on project workspace and then select Build Settings option from context menu. Next you get options to change Active build configuration. From drop down you can change Build Settings. Just we learnt that it is very easy to work different Build Settings in Icenium. I hope you find this post useful. Thanks for reading. Recently, I was working on one of the requirement in which I had following widgets in same mobile view. Only problem in above implementation is that, ButtonGroup is not fixed and when you scroll ListView it will scroll with ListView. On running application ButtonGroup is fixed at the top. To start with, in Everlive I have created a content type with name Session. In Everlive Content type represents a data type or loosely I can say a table. I have created content type with name Sessions. Now we need to fetch all the items from Sessions content type using Kendo UI DataSource. Now you will be amazed seeing how easily you can fetch all the items from Session content type using Kendo UI DataSource. Only you need to provide type as everlive and in transport typeName as name of Everlive Content type. You can verify in any debugger console that data is fetched from Everlive in Kendo UI DataSource. Now once you have data at the client side you can use them as of your requirement. 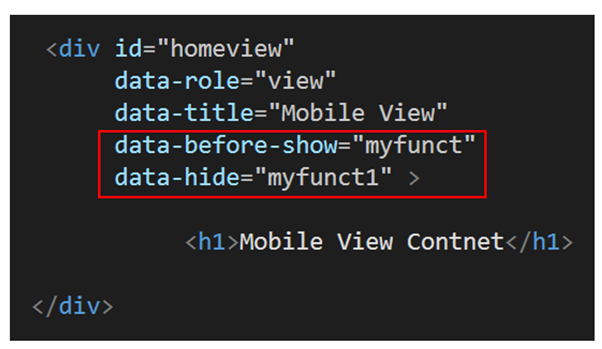 You can bind that ListView , GridView etc. I hope you find this post useful. Thanks for reading.